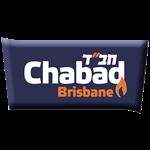 Rabbi Skobac is a highly acclaimed charismatic speaker. This is an evening to be remembered and not to be missed. Join us for two days of stimulating discussions and enlightening lectures by leading Rabbis and dynamic speakers. This is a unique opportunity - like no other. Join us for a two-day learning experience where speakers and educators will engage you in thought-provoking discussions to open your hearts and minds to the timely messages that our heritage offers. Please join us for an enlightening evening of warmth and inspiration - a Farbrengen - with Guest Speaker Rabbi Mordechai Szmerling. Is it against the Torah to deprive oneself from eating meat? consumption and Judaism’s view on Vegetarianism.